1. Wash and soak urad dal and fenugreek seeds together for 2-3 hrs. 2. Wash and soak all millets together for 5 hrs. 3. Grind the urad dal into a smooth batter with sprinkle cold water. 5. Mix both the batter with salt and keep it for fermentation. This will take 6-8 hours. 6. After fermentation, the batter would have become fluffy. Mix well the batter with ladle and use. Add water if necessary. 7. Now the millets idli batter is ready to use. Use immediately or store it in a refrigerator to avoid over-fermentation. 8. 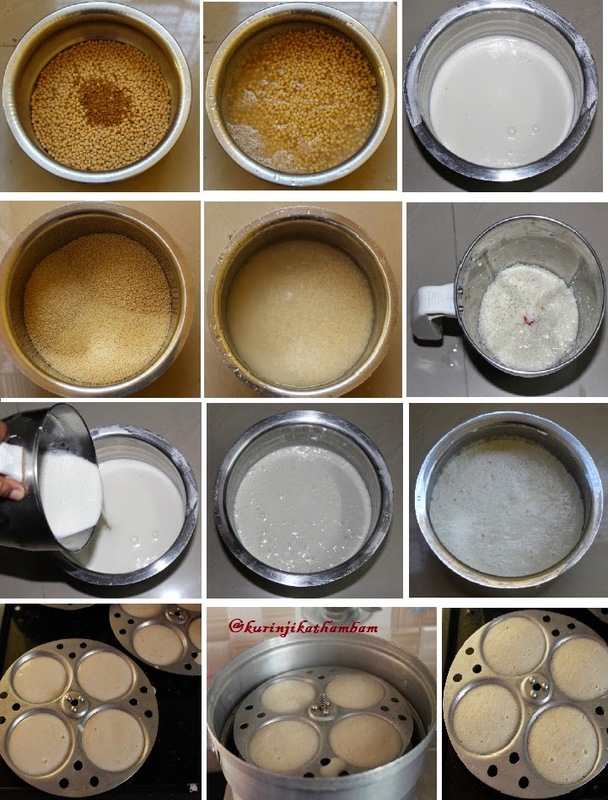 Grease the idli plates with oil and pour a ladle full of idly batter and steam cook for 10 mins. 9. Remove from the flame and allow it to cool down or apply water to the rear side of the plates. 10. 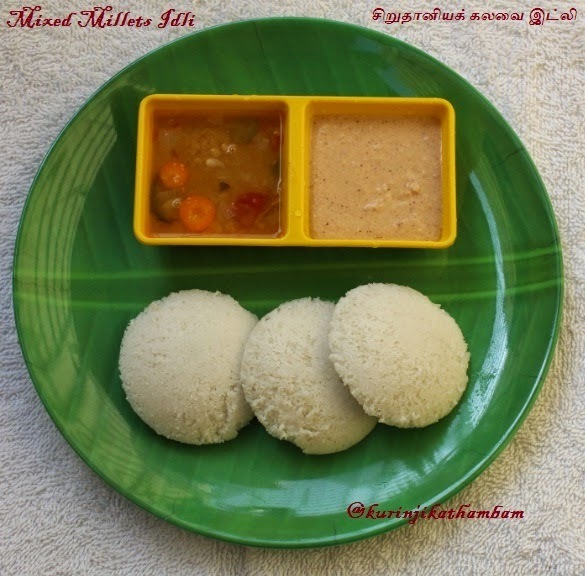 Use spoon to scoop out the idli from the plate. 11. If you are using the idli pot, drape the vessel with damp cloth and pour batter into the cups and steam cook for 10 min. Sprinkle water on the back side of the cloth and then remove the idli. You can mix the millets in any ratio. The mixture should come to 4 cups. love millets and this is a healthy recipe!!! Did they turn out soft?